As we all know, a large part of the Sea Scout program lies in our affinity to network with Ships far away from own. This affinity brings us together in order to promote solidarity and fellowship among all Sea Scouts. When I called Skipper Allen Borden of Ship 1 out of Corpus Christi after school one day in January, I was attempting to do just that. As Area Boatswain from June 2017-2018, I had made contact with Ship 911 in the Rio Grande Valley over the Winter Break and asked Skipper Borden if he wanted to do a Sea Scout Activity with them and my ship. Skipper Borden made clear that his ship was primarily interested in competitive and leisure sailing and could host that kind of activity. The contact was made and let the skippers know. Seven months later, after a long, tough planning process, the three ships finally came together this past weekend at Corpus Christi Yacht Club. I was glad to finally meet Skipper Borden in person – a kind man with many years of sailing experience that came in handy for getting newer scouts on the water. 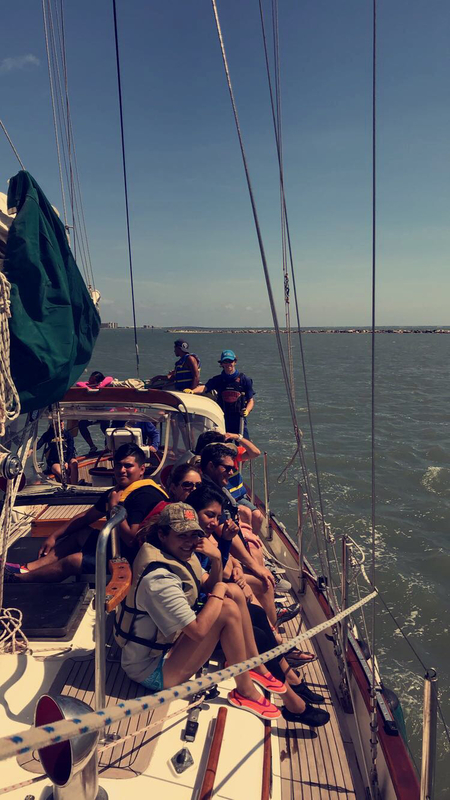 Some scouts from both Ship 911s had a lot of fun sailing 420 racing sailboats in strong Corpus Christi winds, while others learned new skills on larger IC 24s. However, after a hot day of sailing, most of the scouts just wanted to jump in the Yacht Club’s pool. In the evening, all 25 or so scouts and adults returned to the First Presbyterian Church of Corpus Christi where we stayed the night. The third floor of the church was complete with more than enough bunks for all of us, good air conditioning, a kitchen, and common area with a pool table and seating. Scouts played hide-and-go-seek in the later hours – which I still found fun even as an 18-year-old. Overall, the event was a success because scouts from all three ships were glad to see one another and try new things. 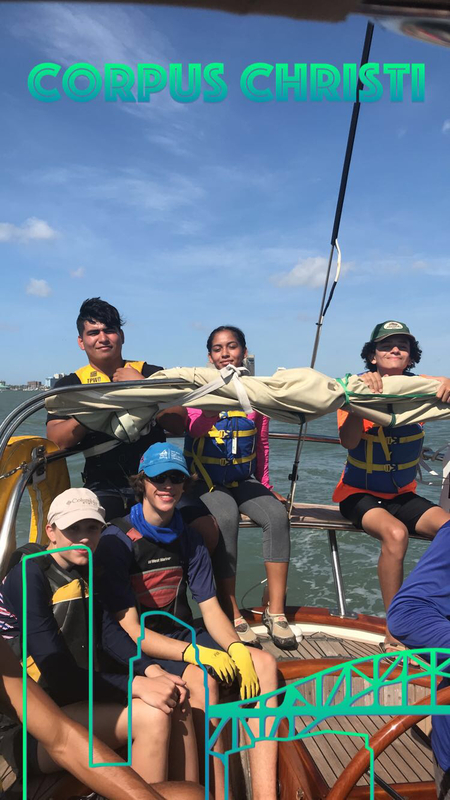 The connections made by Ship 911 Georgetown to Ship 1 and Ship 911 in Rio Grande Valley are invaluable because it promotes solidarity and fellowship among all Sea Scouts, strengthening our great program.